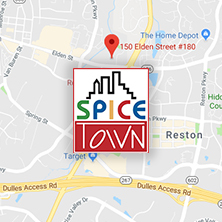 Spice Town is a family-owned and operated restaurant that has been in business for 14 years and our family has 20 years of experience in the industry. We have a passion for providing quality food made from scratch and we constantly strive to achieve excellence in customer service. We always stand by our 100-percent satisfaction guarantee and we are committed to making every effort to satisfy our customers needs. Our large menu is loaded with a variety of delicious options to choose from, so we satisfy almost all tastes. We offer delicious pizza, subs, wraps, burgers, and salads, plus our wings are the best in town! We make our burgers fresh every day and the meat we use is never frozen, guaranteeing the best quality and flavor for your meal. Why choose a fast-food chain when we make better quality, fresh, fast burgers and pizza daily? 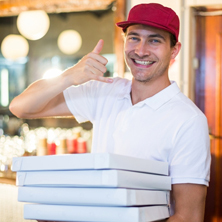 Dine-in or order delivery today — we guarantee you’ll love your meal! 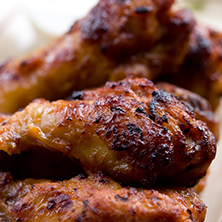 We are located in Herndon, VA and you’re never far from fresh, delicious wings, pizza, burgers, and more! Do you feel like staying in tonight? Let us bring you a tasty meal made from scratch. Place your order online or give us a call! 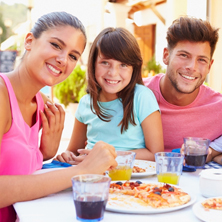 Enjoy your favorite pizza, subs, burgers, wings, and more in comfort when you dine-in at one of our nearby locations. Spice Town is dedicated to providing scrumptious meals to cater your special events and corporate gatherings. SKIP THE LINEDELIVERY OR PICKUP? WE'LL COME TO YOUCATERING AN EVENT? ©2017 Spice Town Restaurant - All rights reserved.